The Beech Hill School is an innovative independent middle school where students thrive. BHS offers grades 5-8 and is located minutes from Interstate 89. Bishop Brady High School is a Roman Catholic, co-educational college preparatory high school founded on the value of faith, learning and service. A statewide system of seven Community Colleges offering Associate Degrees and certificates, professional training and transfer pathways to four-year colleges. Concord Community Music School, founded in 1984, is the largest community music school in northern New England and one of the largest in the nation. More than 50 faculty members - known as the Musicians of Wall Street - provide instruction in 20 instruments and voice. The School’s 1,400 students have ranged in age from 6 months to 95 years and come to the School from more than 100 communities in four states. Thirty percent of the students receive financial aid, including those reached through the School’s Music in the Community Initiative (MICI) and members of the Scholarship Ensembles. The Derryfield School offers 6th-12th grade students the best day school experience in the region. Through small, interactive classes, the arts, athletics, service, and global opportunities we ignite a passion for learning that prepares students for college and life. Organization offering child care, adult basic education & high school equivalency, English as a second language classes & tutoring, and education for at-risk adolescents. One of four separately accredited institutions making up the University System of NH. Granite State College was established in 1972 as an innovative and accessible statewide college for adults of all ages. Offers associate, bachelor and masters degrees at nine campuses. Over 400 students in Concord at the 25 Hall Street campus. A non-profit training center for occupational safety, first aid, defensive driving and conferences in NH, ME & VT.
Human Resource Training & Development Svcs. New England College in Henniker, NH, offering undergraduate and graduate programs that challenge students to transform themselves and their world. 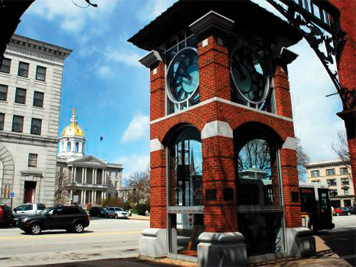 Downtown Concord campus at 62 North Main Street which hosts classes and is available for rental. 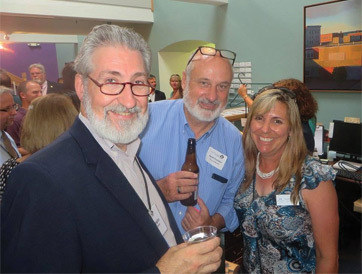 New Hampshire Humanities connects people with ideas, offering over 450 free public humanities programs that engage, educate, empower, and inspire. Federally funded academic and career training program for 16-24 year olds includes free room & board, social development, career readiness training, work experience opportunities and industry recognized certifications. NHTI, Concord’s Community College, is a fully accredited, public community college serving students, businesses and the community by providing academic, technical and professional education. NHTI offers over 70 academic programs to more than 5,000 students. NHTI is a member of the Community College System of New Hampshire. PACE Career Academy is dedicated to allowing students to partner in the design of their academic, career and personal growth paths with a goal of becoming an essential part of their community, family and world of work. This non-traditional high school offers a highly personalized combination of personal development, core academics and career experience. Parker Education provides a range of educational services for families in central New Hampshire including one to one tutoring, educational placement, consulting, and their private day school, Parker Academy. Plymouth State is a regional comprehensive university offering nearly 50 undergraduate majors and 75 graduate degree and certificate programs. The 170-acre main campus offers a New England village setting and excellent up-to-date facilities. Classes are also offered online. St. John Regional School is a Catholic school providing a strong education for students Pre-Kindergarten through Grade 8. Sant Bani School offers an independent K-8 education. With access to 200 wooded acres, students gain confidence and a passion for learning through an integrated program of academics, creative arts, athletics and service.